Today’s episode of Fantrax Dynasty Baseball is not only stuffed to the brim with baseball analysis, but it’s also gluten free! Whatever. 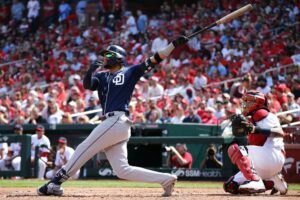 OK so @NathanDokken, @therealmaday, and @ManlyVanLee are here as always to bring you discussions on Tatis Jr, Isan Diaz, Francisco Mejia, and more prospect talk! On today’s episode of the Fantrax Dynasty Baseball podcast hosts Nathan Dokken, Ron Rigney, and Van Lee are here to discuss their one year episode (give or take a few) and they do so by going over the Futures Game results! They discuss the eight home runs hit in the game, Taylor Trammel’s future (and Jo Adell), Royce Lewis, Wander Franco, and lots more! On today’s episode of the Fantrax Dynasty Baseball podcast, it’s the conclusion to our mid-season top 100 prospects! Nathan Dokken, Ron Rigney, and Van Lee are once again joined by FantraxHQ writer Eric Cross as Ron takes over hosting duties and they count down from the number 50 prospect to the number one overall prospect! Tune in to see how the lists shape up and get the jump start in your dynasty leagues! On today’s episode of the Fantrax Dynasty Baseball podcast, Van Lee takes the reigns to host the show so that Nathan Dokken can be free to argue loudly in his favor for his top 100 prospect rankings! Ron Rigney is also here, somewhere. And joining the boys is Eric Cross of FantraxHQ presenting his top 100 prospects list as well! You’ll get to hear where prospects are ranked and why courtesy of the experts from FantraxHQ.com! 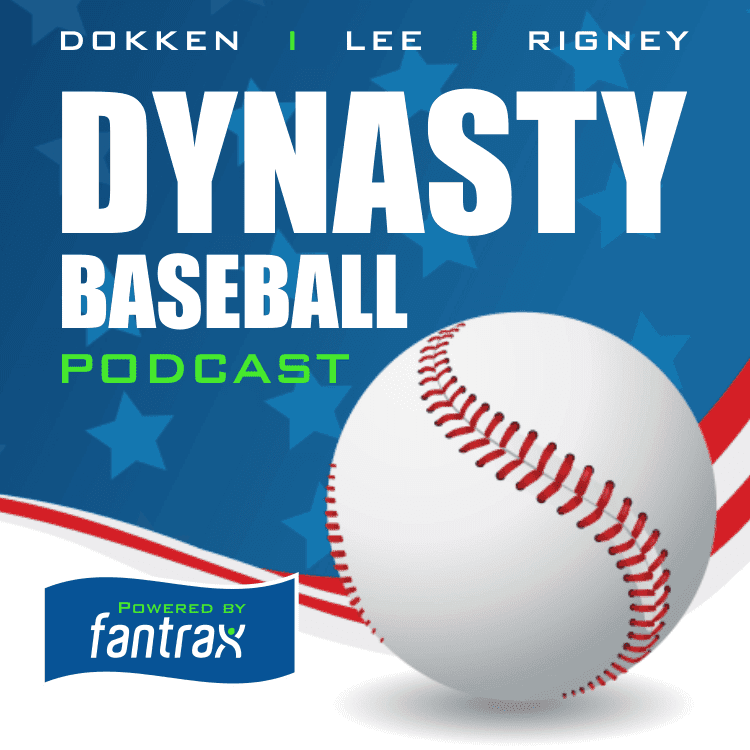 On today’s episode of the Fantrax Dynasty Baseball Podcast, hosts Nathan Dokken, Ron Rigney, and Van Lee discuss Nick Senzel’s season ending injury, Corbin Burnes’ “demotion” to the bullpen, Mitch Keller’s call up to Triple-A, and answer a ton of Twitter questions! 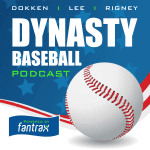 On this edition of the Fantrax Dynasty Baseball Podcast, hosts Nathan Dokken, Ron Rigney, and Van Lee discuss a handful of well performing players in the minor leagues including Alex Kiriloff, Myles Straw, Josh James, and more! They also answer Twitter questions in the What’s in the Box? segment and give their buy low targets in dynasty leagues! On today’s episode of the FDB Podcast, hosts Nathan Dokken, Ron Rigney, and Van Lee discuss Vlad Jr’s arrival date, Carter Kieboom and Eloy Jimenez’s success, and they answer a ton of Twitter questions! On today’s episode of the Fantrax Dynasty Baseball Podcast, hosts Nathan Dokken, Ron Rigney, and Van Lee do their own version of the 2018 First Year Player Draft and go through fifteen picks determining who they like the most from this crop of new players. There’s also an actual deep discussion about allowing your kids to play football, and plenty of Sasquatch hunting tips! In this edition of the Fantrax Dynasty Baseball Podcast, hosts Nathan Dokken (@NathanDokken), Van Lee (@ManlyVanLee), and Ron Rigney (@therealmaday) take a nice long look at Nathan’s top 100 prospects list. they go through the players in groups of ten and determine why they are at that spot, why they are a good prospect, and what to expect from them going forward. You’ll hear discussions on Taylor Trammel, Brendan McKay, Austin Meadows, Bo Bichette, and more! As always catch us every week on the Fantrax Radio Network.